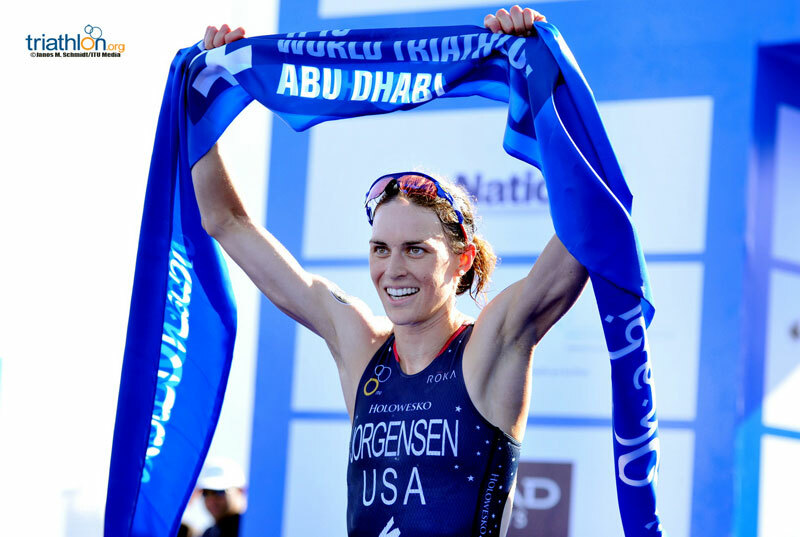 The 2015 World Triathlon Series started exactly where it left off last year, when reigning ITU World Champion Gwen Jorgensen proved that she will again be the woman to beat with a stunning performance in Abu Dhabi’s season opener on Saturday. Jorgensen left the water 35 seconds down on the leaders, and then stepped onto the run course around one minute down. But in an incredible burst of speed, the Threadneedle No.1 cut 45 seconds of that deficit in the first 2.5km lap. She took the lead from Bermuda’s Flora Duffy with about 1.5km to go and pushed further ahead to win comfortably, in a time of 58 minutes and 58 seconds. Her run split was 15 minutes and 57 seconds. 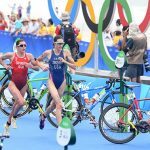 Behind her Katie Zaferes (nee Hursey), finally broke her bad streak of World Triathlon Series luck. 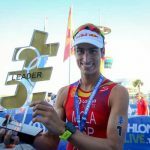 While a multiple World Cup winner, Zaferes had struggled to transfer that to series races, with mechanical issues and injuries the main culprits, but did so in fine form in Abu Dhabi. “This has been my goal since I’ve started triathlon so to finally achieve it I’m pretty stoked,” she said. 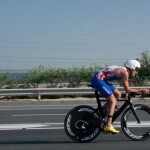 Behind her Bermuda’s Duffy broke through for her first World Triathlon Series medal. 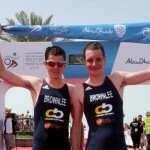 Earlier the 2015 season started with a bang in the clear blue waters of Abu Dhabi, which was making its debut on the World Triathlon Series circuit. Spain’s Carolina Routier picked up right where she left off, rocking through the one-lap Gulf swim to lead the ladies into transition with a 10 second advantage. Last year’s runner up in the Threadneedle Rankings, Sarah True tucked herself into strong position with the lead swim pack. Together, a small group of 11 women took off for the four-lap bike with a small but important distance from a dangerous chase that contained reigning World Champion Jorgensen and third-ranked Andrea Hewitt. But that deficit didn’t phase Jorgensen at all, as she immediately started cutting through the field. While Duffy strode to the front and stayed there for most of the run, even she couldn’t hold off the force that is Jorgensen in full flight.